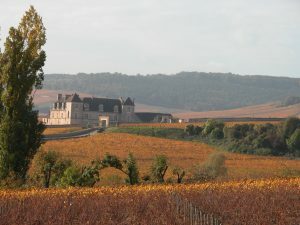 From our patio in front of the vineyards, you will be able to see one of the most beautiful part of the Burgundy climats. The Musigny, Echezeaux, the Amoureuses or even the Perrières… But also walk by the Clos Vougeot castle for an unforgettable visit who will make you came back to the XII and XVII century. The Abbaye de Cîteaux is only at 13 Km, and plenty of other gorgeous place you can visit in this area are pretty near by. A beautiful river named “la vouge” is just next by the hotel, a wonderful place to take a walk next to the vineyards, mountains .. etc. 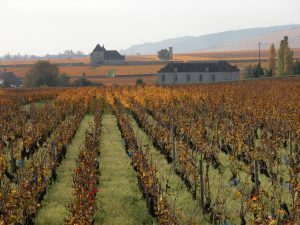 The city of Beaune will seduce you, recognised as capital of wine. You will find there many cellars, wine bars… We would love to suggest you the best way to go there and the best places to visit. Dijon, gastronomic city, and capital of the Burgundy ducs, will reveal it secrets. You will find there a lots of historical and cultural sites. I recommend you the Magnin Museum and Dijon traditional market. Bikes rent : on reservation, 18 euros the day and 12 euros the half day. Discover the area in minibus : visits with explanations and wine degustations. Hiking and walking tour, starting from the hotel. You can download the map on the application named Balades en Bourgogne. Three places you can do golfs in the area (18 holes) : Quetigny, Norges, Beaune-Levernois. The Cassissium : a museum about cassis and it different uses.. The Imaginarium : a museum about wine (for adults and children). Marsannay la cote castle, with wine tasting and cellar visit. 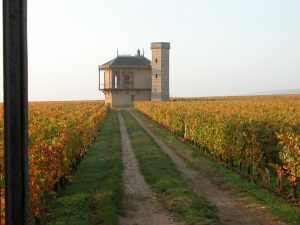 Pommard castle, wine tasting and cellar visit.